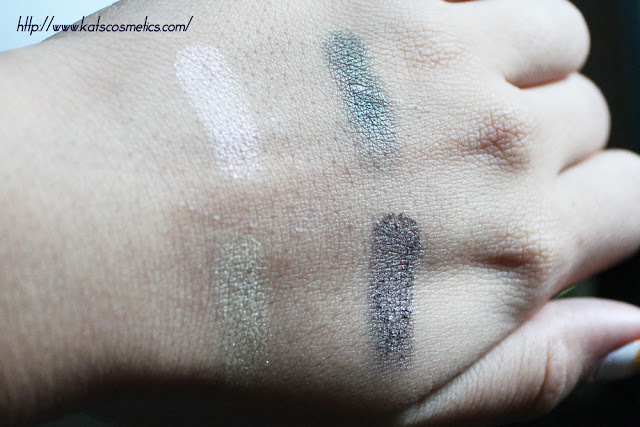 Quick swatches for this super cute Chanel eyeshadow quad I bought yesterday. I went to the dpt store to find a single eyeshadow by Chanel, but ends up getting one nail polish, one eyeshadow quad, and a single eyeshadow LOL. 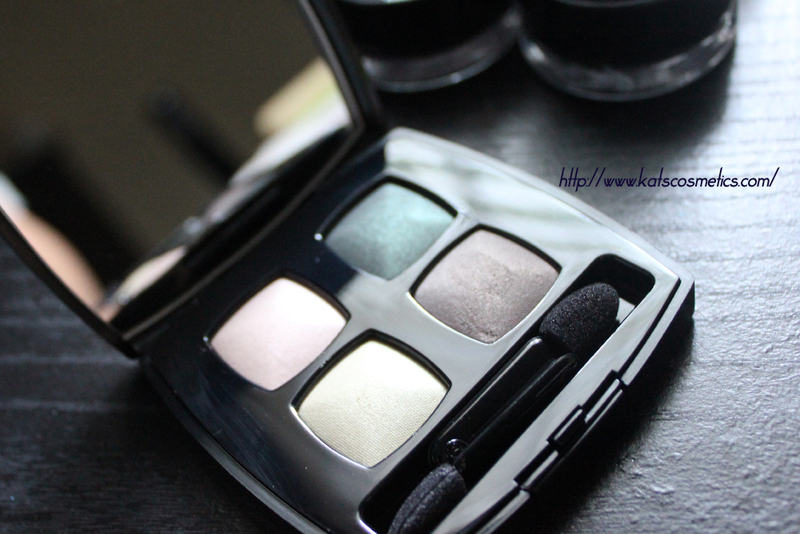 Since I dont like to use primer to primer my eye (does not work on me all the time) I think the colors are really pigmented without primer. 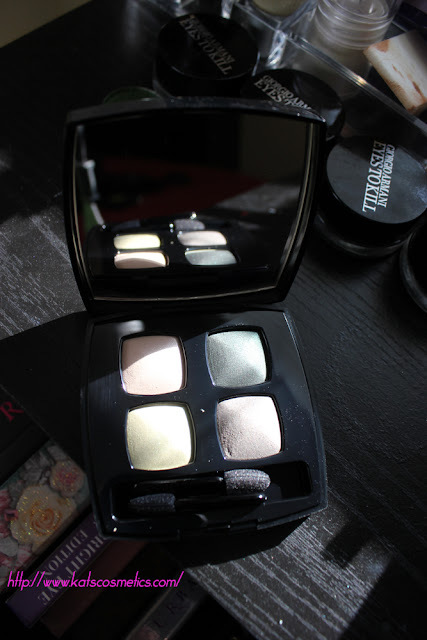 The olor I was kinda disappointed is the taupe color. It looks so cakey, I had to use my finger to blend out a little bit to make it look even and shimmery. 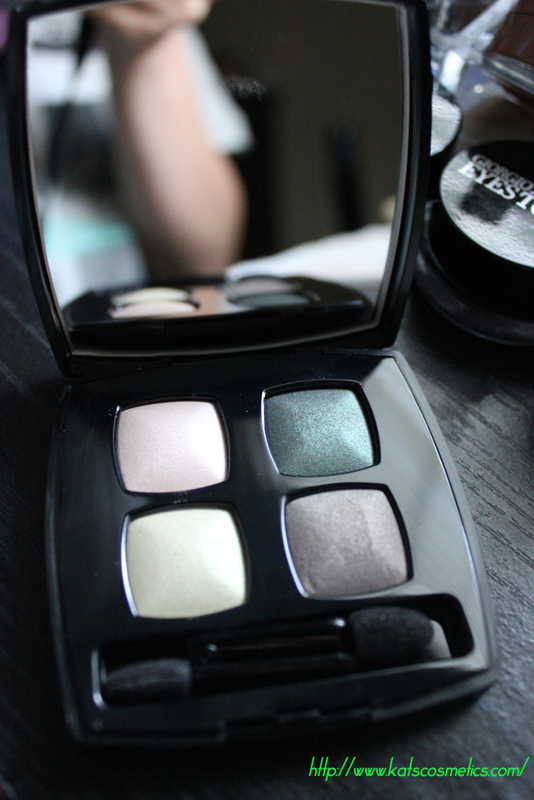 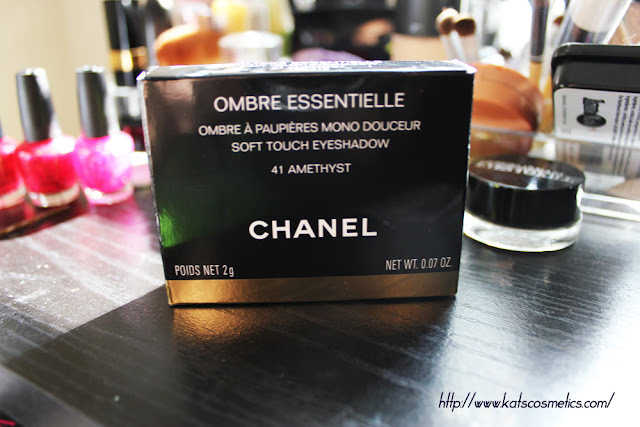 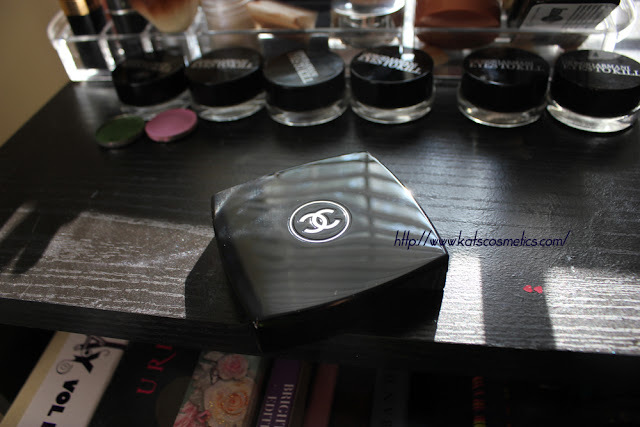 I am sure I will use this quad soon becasue I love Chanel eyeshadow.